We're open as usual on Saturday however with be closed - Friday, Sunday & Monday then back open as usual from Tuesday. Please note that any order placed during these times will be dispatched as soon as we're back in on Tuesday. Hope you enjoy the Easter break. Here at Ronnie Sunshines Berkhamsted we have three fantastic indoor gun ranges for you to enjoy. With over 100 targets to shoot at we promise you won’t get bored. Ronnie’s range is suitable for everyone from 12 to 112, beginner or an old hand, you won’t be disappointed. Discover the most popular and best UK Gun Shop along with our fantastic indoor rifle & pistol gun ranges. We have lots of brands to choose from..
We settled on the idea of a raffle and at £20 per ticket we could not believe the response or the generosity of our customers, and we raised a staggering £4,520. To all those who brought tickets we can not thank you enough. Using felt wads/pellets to clean an air rifles barrel reliably is super easy. Leading you to the great outdoors! Free, impartial advice and help about everything Airgun and much more. When you visit you’ll be greeted by one of our friendly and knowledgeable staff who'll be more then happy to guide you though all your different options. You’ll also be able to try before you buy to ensure that we matched you with the right gun..
Got any unwanted airguns? – Need Cash Fast? Free appraisal: We’re happy to give any gun a free appraisal on the spot, just bring it in and a member of the team will be able to tell you what it is worth on the open market. Instant decision: We will be happy to make an offer to buy your gun there and then. Instant Cash: If you’re happy with our offer we will pay you on the spot….in cash! We can fill any sized air rifle charging tank or diving bottle up to 300 bar while you wait for just £6.50. We have a fantastic selection of air rifle charging accessories available and can also undertake re-testing for certification and cylinder bottle servicing. Ronnie Sunshines is an approved airgun service center for Air Arms, BSA & Daystate..
We have access to specialist air gunsmiths who have the skills and the training to fix any airgun related issue. You can be rest assured that your gun will be in good hands and that you’ll receive your gun back performing as it should. Quick, Simple & Fast – We can offer you instant credit in-store. The application process is quick and simple and once approved you can be on your way home with your purchase in under 30 minutes. Finance is available for purchases over £330, the cost of which can then be spread over 12, 24, 36 or 48 months. APR is 19.9% and your deposit can range from 10% – 50%. Ronnie Sunshines Limited acts as a credit broker and only offers credit products from Omni Capital Retail Finance Limited. Finance only available to persons aged 18 and over. All finance is subject to status, 19.9% APR representative. 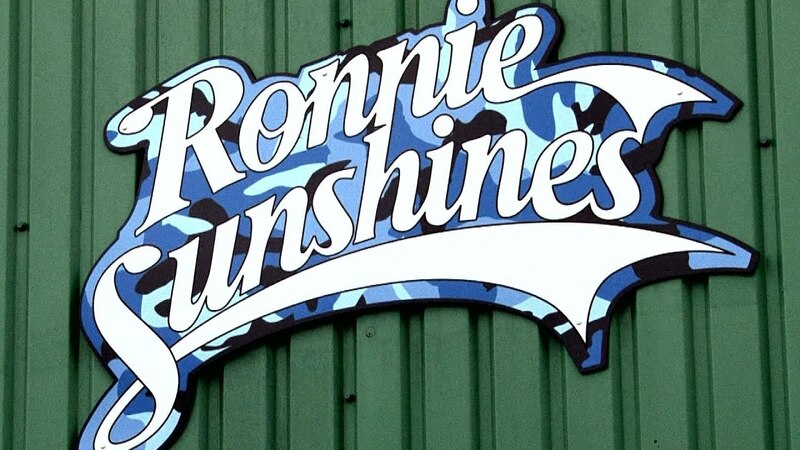 For as long as you own any new rifle purchased from Ronnie Sunshines it will be covered by our lifetime guarantee and we will repair or replace any defect parts free of charge. To maintain your rifle to its peak performance level it will be covered by our lifetime free servicing promise. So for as long as you own the rifle at anytime you think it’s not performing, get it in to us and we’ll service it free of charge. (Return postage may apply).